Gone for a Burton – Blot on the Landscape! 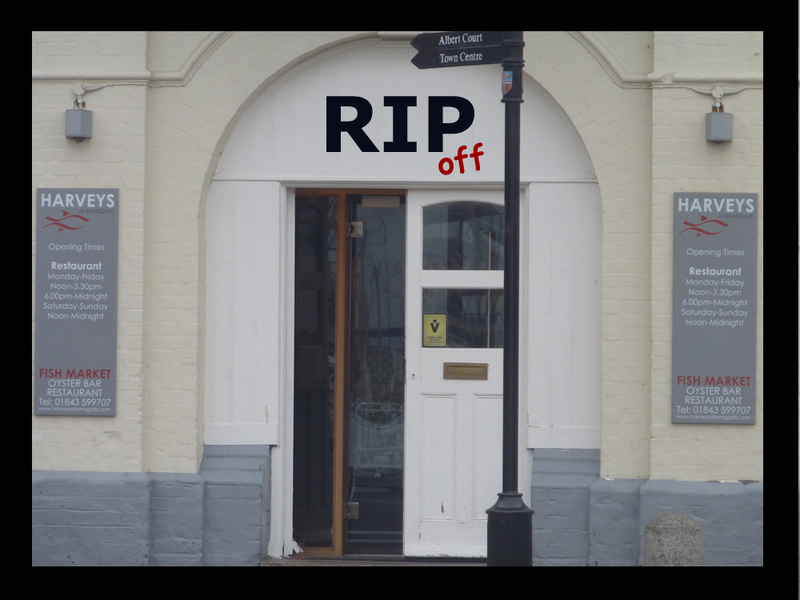 We had a quite a few comments on our posts covering Harveys in Ramsgate, the consensus being that this celebrity chef inspired outpost was really, really bad. 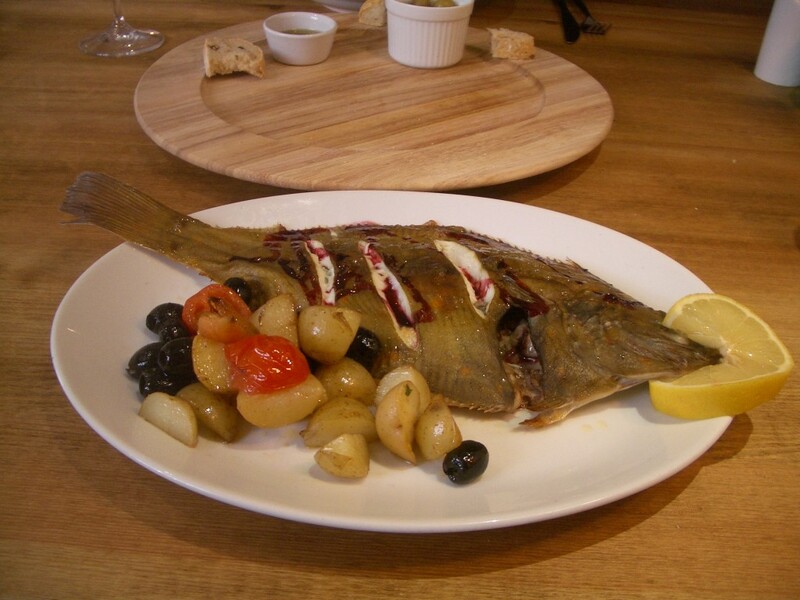 Harveys Fish Market, Oyster Bar & Restaurant – not the plaice to go! However unlike the Foliage and Parc des Eaux Vives which also closed this year. 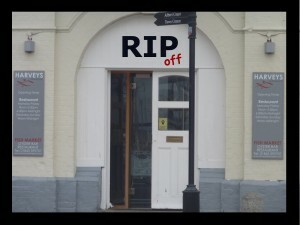 Harveys closure was deserved. We can only hope that this prime spot on the harbour does not stay closed for too long. 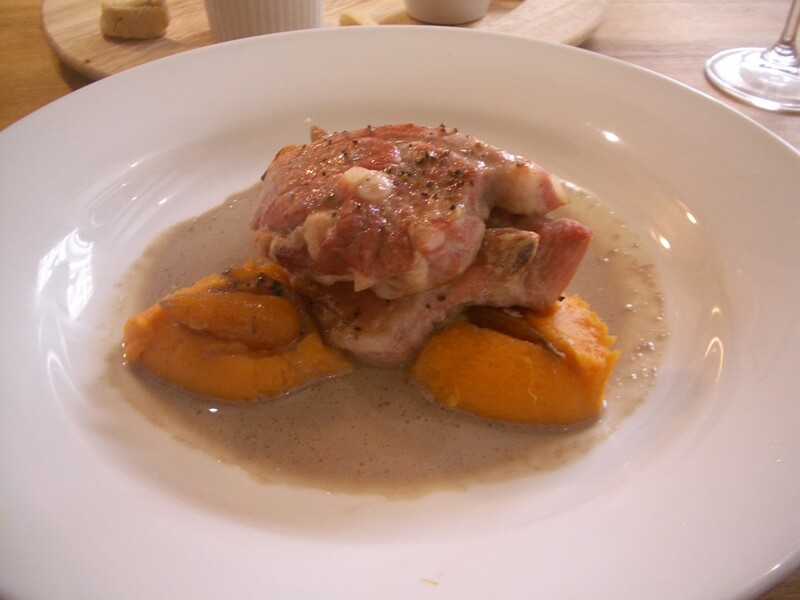 We have also been cheeky using the tag line “Gone for a Burton” – a play on the celebrity chef John Burton Race’s name. Isle One got in first with that one, but since they seem to have used one of our photographs without crediting us (tut….tut) it seemed only fair that we copy their tag line. Harveys has now been replaced by Jacks (The Cantina on the Marina) . I don’t know whether to laugh or cry. Why the council gave the go ahead to deface this building situated in a prime location on a Victorian Harbour is beyond me. This really is in bad taste and we haven’t even tried the food yet! UPDATE May 2011 – The “Orange Blot” that was Jacks is gone, the building now has a new more suitable paint job. Wonder who will move into this prime spot next? It would be a great location for Eddie Gilberts if they were thinking of expanding. 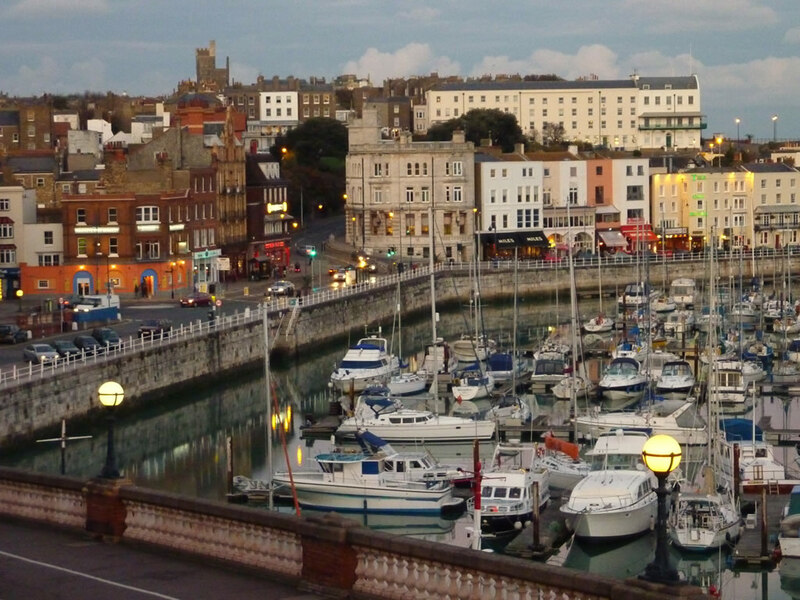 Author No ExpertPosted on October 29, 2010 June 18, 2015 Categories Kent, Ramsgate, UK, Worst of the worstTags Closed Restaurants, Eddie Gilberts, Harveys of Ramsgate, Jacks - The Cantina on the Marina, John Burton Race1 Comment on Gone for a Burton – Blot on the Landscape! 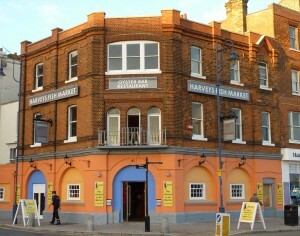 Harveys of Ramsgate, part of Kent Inns of Distinction, is marketed as a dedicated seafood restaurant using locally landed fish. A fabulous idea, in theory. Celebrity TV chef John Burton-Race of the Michelin-starred New Angel in Dartmouth is connected with it, loosely I hope, based on the standards achieved here, both in terms off food and service. I can not see this place, surviving the winter. I certainly will not be returning or recommending this unjustifiably overpriced venue. 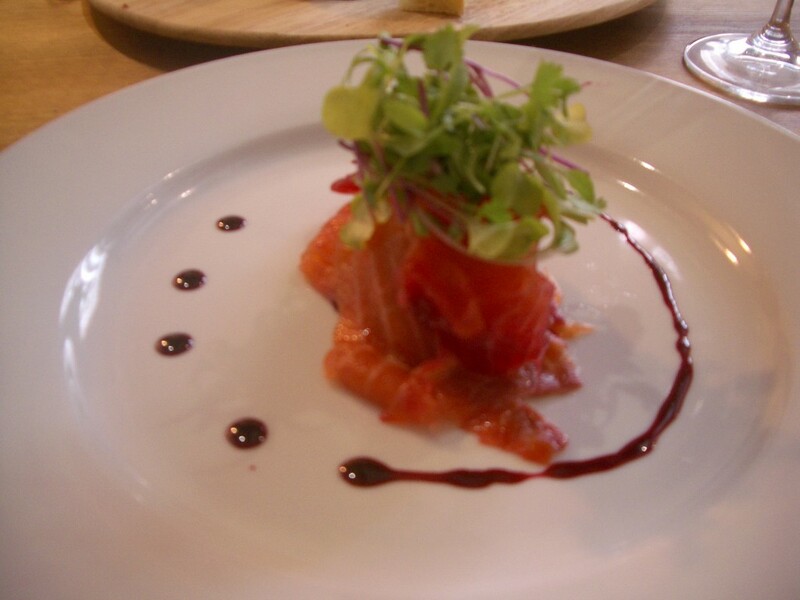 Neither the food quality or the level of service matched the look of the venue. 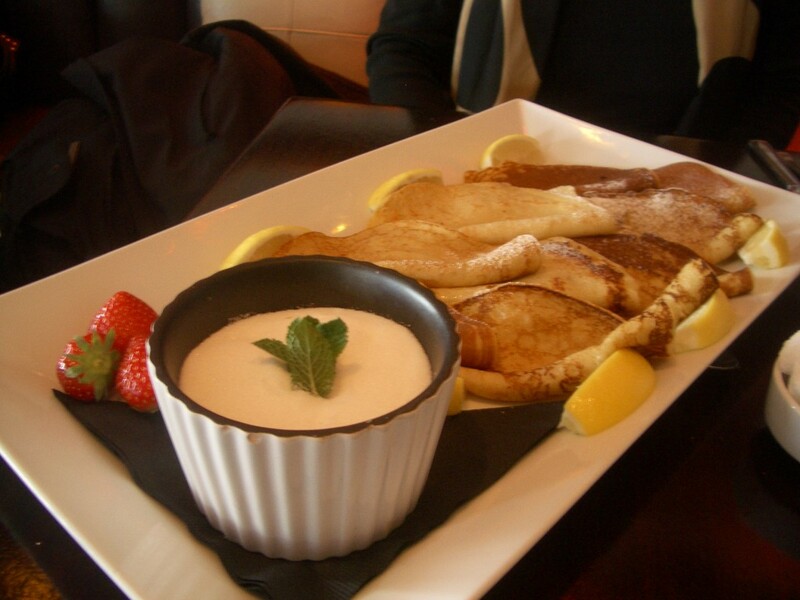 Bland Fish, and one of the worst deserts I have ever had (hard meringue!). Plates passed across my companion at the table, come on – anywhere that typically charges £20 for mains, needs to deliver something a bit special. Then there is the ambience issue, sitting next to a large noisy table of 10 in a half empty restaurant is far from ideal. This is most definitely not my idea of “fine dining”. 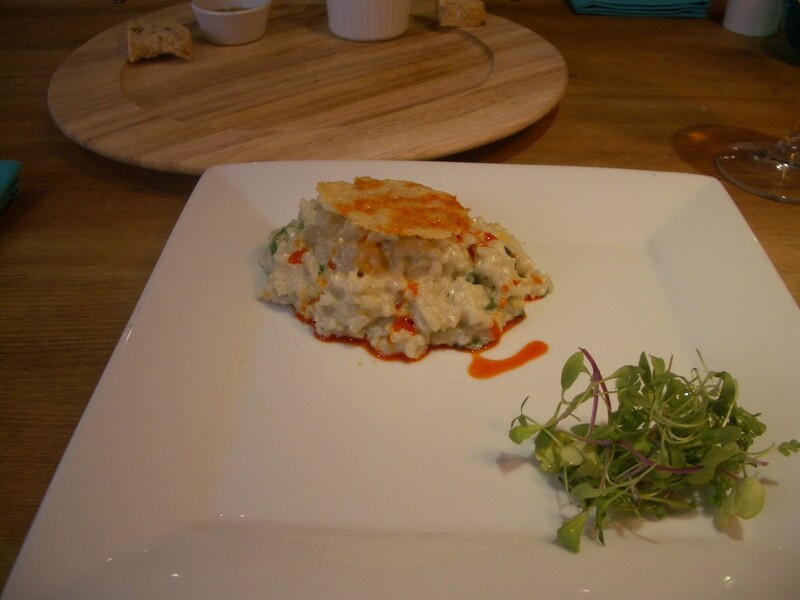 Its pretension without the quality, delivering expensive badly cooked food. Just another “Faux Gourmet” experience. 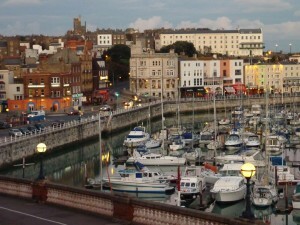 They could have done so much more in this prime location overlooking Ramsgate Royal Harbour. UPDATE October 2009 : Made a return visit to Harveys after all, in light of comments and the award of an AA Rosette. 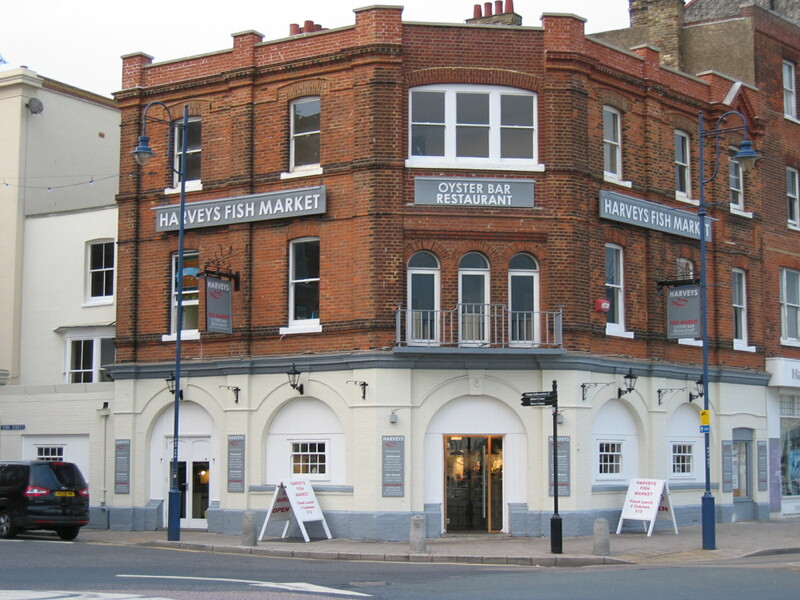 For details see Harveys Fish Market, Oyster Bar & Restaurant – still not the plaice to go!. UPDATE October 2010 – About time! Harveys is finally closed – RIP please! For more information see post from Isle One. 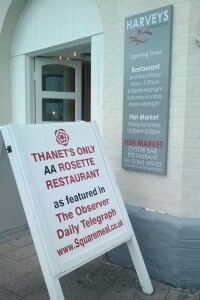 Author No ExpertPosted on July 14, 2009 February 2, 2019 Categories Avoid, Kent, New Openings, Ramsgate, UK, Worst of the worstTags Eddie Gilberts, Faux gourmet, Harveys of Ramsgate, John Burton Race, New Angel, Worst restaurants9 Comments on Harveys Fish Market, Oyster Bar & Restaurant – not the plaice to go!